This post was sponsored by Kinder Joy, but the content and opinions expressed here are all my own. The moment I received the email telling me Kinder Joy would now be available on shelves in the US starting this holiday season, my mind immediately took me back to my home in Oaxaca. I was face to face with 5-year-old Bricia again. I remembered the feeling of joy as if I were there. The moment my mom would finally cave in and bring home that velvety beautiful Kinder egg, waiting to be opened and eaten very slowly. Some of my fondest memories were of me trying to figure out how to assemble the surprise toys inside with my mom and uncle. I remember I loved displaying the assembled toys in my room, showcasing something I had achieved. 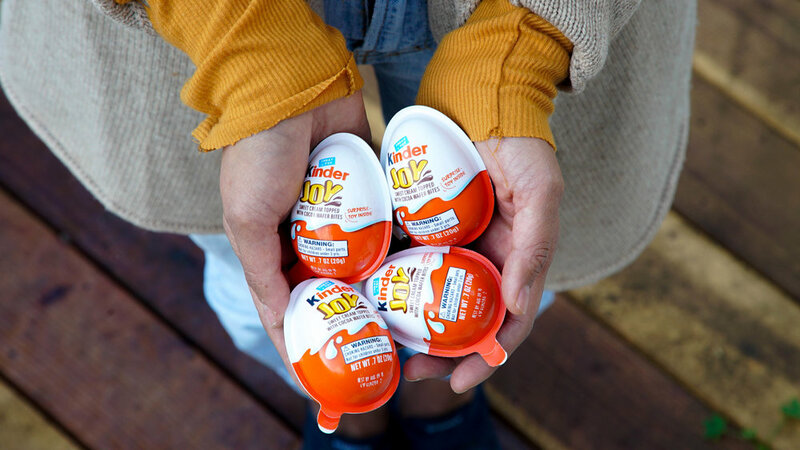 For the past 50 years, the Kinder brand has been bringing parents and children together by offering them delicious and joy-filled moments to share. I couldn’t be more excited for this collaboration. 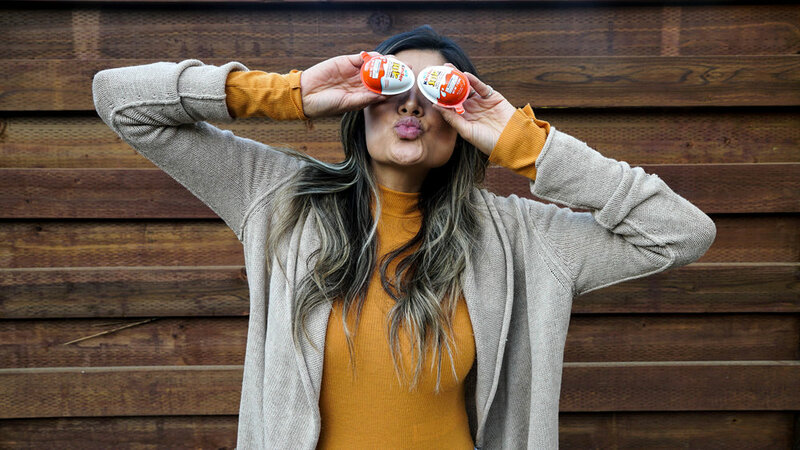 Kinder Joy is a treat like no other; it brings a whole new level of surprise not only to kids, but to us adults as well. Sometimes we forget that we, too, were kids once. I sometimes think, what would life be like if we embraced the kid inside of us every day? I look at my son and the joy he finds in the simplest of things, amazes me. I love seeing how curious and fearless he is. As moms, we take on so much. We are constantly worried about the smallest of things. Let’s not allow the everyday little things to block us off from what’s real. 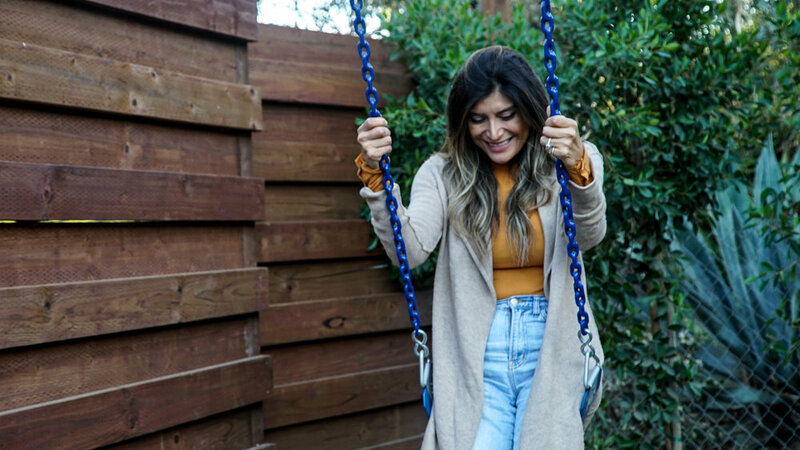 Allow yourself to find those moments of joy in the simplest of things too, and also please don’t forget to treat yourself! Treat yourself like you would have liked when you were 5. Remind yourself of what excited you at that age; what brought you the most joy when you were 5, 7, 10 years old? Let’s run around, let’s jump in puddles and relive those innocent and most joy-filled moments of our childhood. A happy mom, makes for a great mom. Thank you Kinder, for allowing me to relive my childhood once again, for bringing me back to those memories and face-to-face with 5-year-old Bricia. Digging into those two soft creamy flavors of milk-crème and cocoa nestled into the chocolate-covered wafer bites was just what I needed. I am very much looking forward to once again displaying those assembled toys, but now[IB2] , in my son’s room, and to creating memories for him that will hopefully stay with him like they have with me. Also, for all my screen moms – Kinder has launched Magic Kinder App, a digital world of fun and education designed to help families play and learn together through a wide range of engaging games, videos, stories and activities. It is completely free and can be accessed through www.magic.kinder.com, the iOS and Android app stores. You can also access it through the QR code that is printed on the information leaflet that accompanies the toys inside the Kinder Joy egg. Please let me know on the comment below how you are liking the app, I would love to hear your thoughts! In a world where we can’t escape technology, I admire those companies who take it upon themselves to bring us quality and educational forms of entertainment. Another reason why I love Kinder so much! Posted on November 29, 2017 by Bricia Lopez.